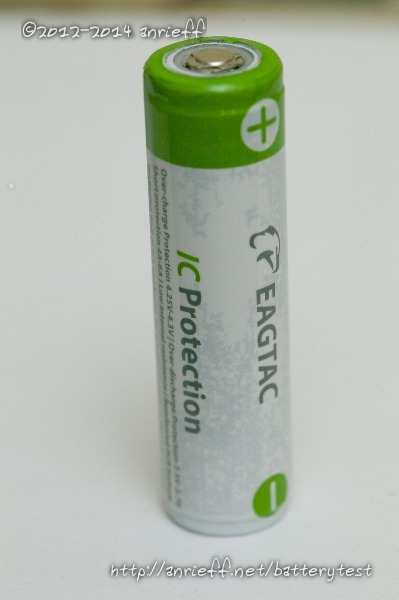 This is the largest cell in the 18650 form factor which EagleTac offers, weighing 54 g, and with an indicated capacity of 3400 mAh, which seems to be true. Beware that these particular results are not very sound (the 5-day test showing more than the 1-hour), because of the crappy charger I had then. 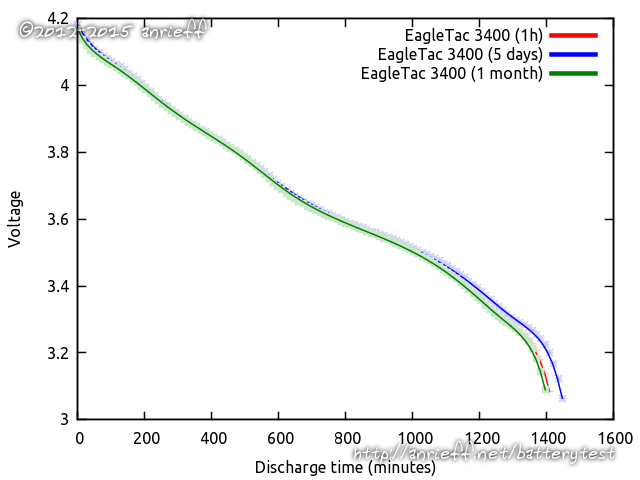 In any case, self-discharge seems to be nonexistent here. Thanks to dcpower.eu who lent this one for testing!